Making handmade holiday decor is a fun way to get into the spirit of the season. My favorite holiday projects are inexpensive and can be completed during a weekend (preferably in between sips of hot cocoa), and paper crafts are just the ticket. Either used as ornaments, a tree topper, or made into a garland, paper crafts are a lovely and quick way to add a little something festive to your home. I also love projects that evolve from leftover tidbits I have lying around. If, like us, you have a lot of fabric scraps in a basket somewhere, why not turn them into a few of these sweet little bird ornaments from Last Minute Patchwork + Quilted Gifts? Although I tend to favor the immediate gratification of quick projects, some are just too beautiful to pass up for lack of time. This colorful tree skirt from Handknit Holidays can be used year after year, and would compliment a host of different decorating styles. 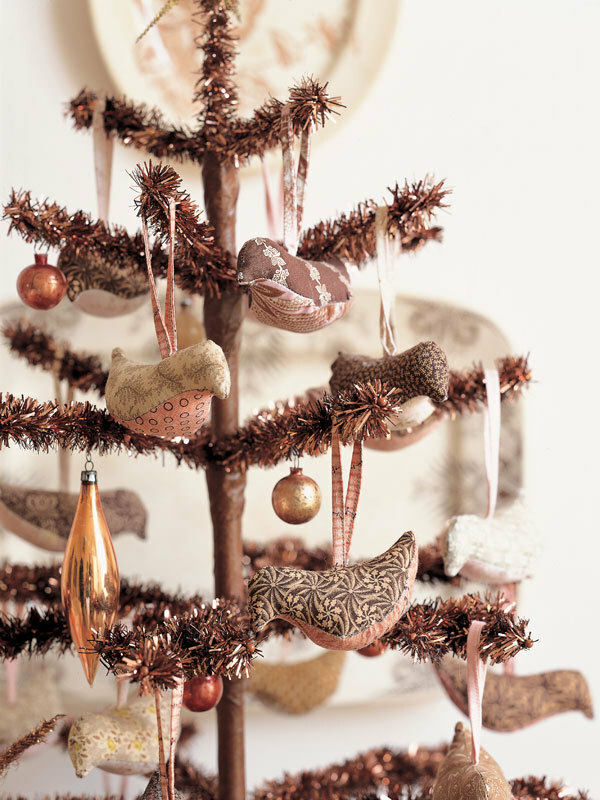 Do you have any favorite crafty ways to spruce up your home for the holidays? Please share!